In a Wall Street Journal editorial, two Orthodox rabbis, Rabbi Abraham Cooper and Rabbi Yitzchok Adlerstein of the Simon Wiesenthal Center in Los Angeles, have called on the United States government to step up and save the ancient Christian communities of the Middle East, which are now threatened with extinction. Islamist terror attacks like the ones in Paris and San Bernardino, Calif., have underlined the need for more and better vetting of refugees from the Middle East who seek safety in the U.S. But with tens of thousands pushing at the gate, who should to get first preference? In our view, as rabbis, any immediate admissions should focus on providing a haven for the remnants of historic Christian communities of the Middle East. 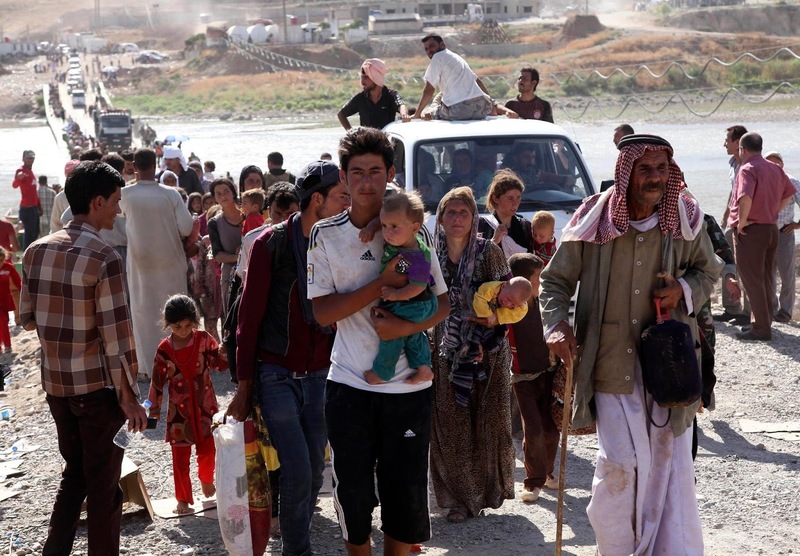 Christians in Iraq and Syria have been suffering longer than other groups, and are fleeing not just for safety but because they have been targeted for extinction. In a region strewn with desperate people, their situation is even more dire. Christians (and Yazidis, ethnic Kurds who follow a pre-Islamic religion) have long been targeted by Muslim groups—not only Islamic State, or ISIS—for ethnic cleansing. Churches have been burned, priests arrested. Unlike some others, Middle East Christians have nowhere else to go. As a result of turmoil not of their making and beyond their control, these Christians are the region’s ultimate homeless. Should some sort of peace ever return, the likelihood is that maps will be redrawn, carving up the pie among larger ethnic groups. There will be no place for Christians among hostile Muslim populations. The animosity toward Christians is illustrated by a horrific incident earlier this year off the Italian coast. In April, Italian police investigating events on a boat that had departed from Libya said 12 Christian refugees who were attempting to cross the sea to Europe were thrown overboard by Muslim migrant passengers, and drowned. The U.S. can do much good for Christian refugees. Their religious heritage establishes an important basis of commonality in the many Christian communities in our country. When Secretary of State John Kerry announced in September that the U.S. will accept as many as 100,000 refugees by 2017, many of them Syrian, the State Department provided a list of more than 300 agencies in 190 locations that would assist on the local level. Of those agencies, no less than 215 are Christian. It makes sense to play to the strengths of those agencies. Unfortunately, the Obama administration seems to disagree. Tragically, present policy does not take into account the uniquely precarious situation of displaced Christians. Instead of receiving priority treatment, Christians are profoundly disadvantaged. For instance, the State Department has accepted refugees primarily from lists prepared by the Office of the U.N. High Commissioner on Refugees, which oversees the large camps to which refugees have flocked, and where they are registered. Yet endangered Christians do not dare enter those camps. But the world is too busy focusing on the 'Palestinians,' who themselves have driven Christians out of towns like Bethlehem. Where are the Christian demonstrators on behalf of their brethren in the Middle East? Darned if I know. It's far too unchristian to demonstrate. at least in the C Of E.